Better for Beginners: Procreate vs Adobe Photoshop and Illustrator – ACC Interactive Media Arts Student Blog! 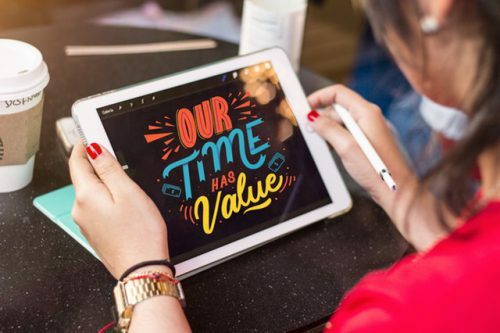 If you’re part of the graphic design universe then I’m sure you’ve heard of the new and hot Apple application, Procreate and of course Adobe Photoshop and Illustrator. Procreate is an app, that can be used on any iPad Pro, along with the Apple Pencil. This app has revolutionized digital art and we’re wild for it. In fact, Procreate was the #1 Apple app of 2018! This app provides a realistic drawing experience, with over 100 brushes, all mimicking different tools and mediums, with the ability to download and create your own brushes. Now if you’ve heard of Procreate then it would be no surprise that you would also know about Adobe. Adobe has a huge variety of software with many different functions. But the two I like best, and use most are, Adobe Photoshop and Adobe Illustrator. 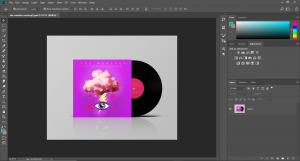 Photoshop is software that is used to manipulate and edit photos to enhance them, and Illustrator is software that is used to design things like logos, icons, illustrations. As a user of both Procreate and Adobe, I’ve often wondered which of the two is the best for a beginner designer? Procreate and Photoshop both have the ability to: manipulate photos. 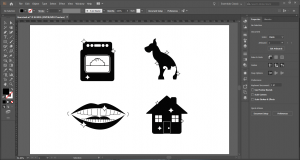 Illustrator is that it is a vector-based program, which doesn’t use pixels, however both programs are great for creating free-form objects. Procreate’s functions are very straightforward in comparison to Adobe’s being that there are less buttons to click and more actions to perform. Both programs sound awesome right? Sometimes the deciding factor comes down to accessibility and price. Both of these programs are accessible and easily downloadable. But in the end it really does depend on preference. In my opinion, I think Procreate is better for a beginner because of the price, how easy it is to use and teach yourself, and the portability of the equipment. Let me know which one you think is better for a beginner, or which on you’d like to try! This entry was posted in Interactive Design & Development, Interactive Technologies and tagged adobe, beginner, design, illustrator, ipadpro, photoshop, procreate. Hi, I really enjoyed your blog and I found it very informative as it gave me a good idea on what kind of application would benefit me. One thing that I was surprised with was that procreate lets you create or download your own brushes, which I find very useful. I also like how you gave a list of the benefits of each program as well as the cost which helps me see exactly which one would be best for its price and what it has to offer. I agree with your opinion on procreate and how you mentioned it is better for beginners. I would personally like to try procreate someday.